Bluetooth has made driving while answering a phone call fairly safe over the years. While there must be thousands of Bluetooth based products out there, a lot of them tend to sit in or around your ear, and that just ends up being really uncomfortable over long journeys. Another problem Bluetooth devices have had over the past is that if you have two mobiles, say one for personal use and one for work, they will only pair to one, which means you either have two Bluetooth devices, or just sacrifice the use of one while driving. Enter Jabra Drive, the product that sorts both of these issues. It provides you with a speakerphone instead of an in or around the ear solution, which means that no matter how long the journey, your ear does not feel any pain or discomfort. More over, this comes with the ability to pair with TWO phones at the same time. This means that you can have your phones in your pocket or on the dash or in the glove box, and when either of them receives a phone call, you are able to get through via this unit. A pretty impressive feature! Jabra are known to produce stylish products, and this is no exception. The device is designed to fit on top on your visor, and it has a metallic loop that lets it hold on to it. The speaker is covered by a wire mesh, which also serves as one large button, and a couple more buttons allow you to change volume. On the side is a micro-usb port as well as the power on/off switch. In your hand the device feels quite solid, and has a great finish. The device comes with a micro-usb charging lead and an in-car usb charger, but no mains lead. This means that while you may struggle to charge it in your house, the micro-usb in car charger allows you not only to charge this, but also any modern Android based devices as well as Blackberries. Pairing is fairly simple process. It easily connects to almost any phone out there that has bluetooth capability on it. Once paired, turning the device on means it will automatically connect to any devices that are paired. As I mentioned earlier, this device can connect, and put calls through, with up to two phones (or other devices) at once. The speakerphone device allows the basic functionality of most Bluetooth devices. This packs in DSP technology, which means the sound and clarity for both you and the person on the other end is a lot better than your mainstream devices. It also performed well over faster speeds, though I was not able to test it on the Motorway. Apart from letting you talk, you can also stream music through your phone if your device supports it. Once again, that will work for most phones these days. However, if your car lets you connect your phone to the main speaker system, you would probably not bother with this. It also promises to let you do the same if you are using your phone’s navigation app. This has to be configured via your phone, and it may tricky in case of some phones. I have to thank www.mobilefun.co.uk for sending this out to review for me. If you want phone accessories, mobile phone speakers, mobile phone docks, laptop/notebook accessories, iPod/iPhone/iPad accessories, or other mobile accessories, MobileFun is a great site to visit. 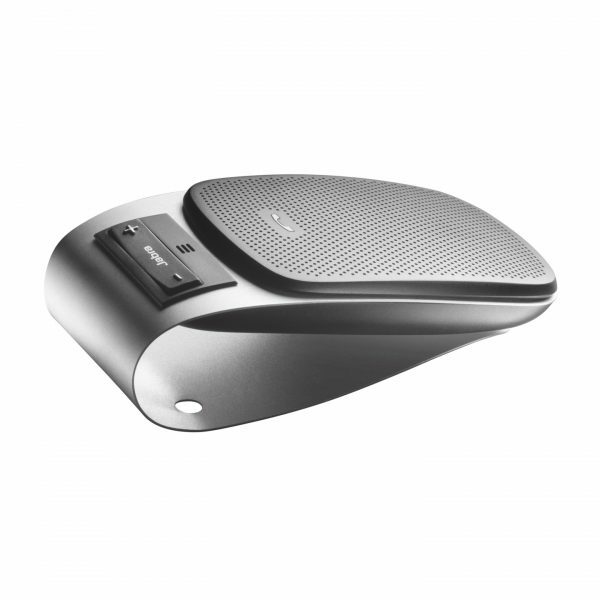 The Jabra Drive Bluetooth Car Speakerphone can be found under the Bluetooth car kit section. Can be found somewhere between designing new tech as an electronics engineer or testing new tech as a technology enthusiast. Lives mostly on Twitter, and would love to have a word with you there as @smacula. Next story FREE GIVE AWAY: 1AVCenter, the ultimate audio video center solution for free. Bluetooth devices are very helpful for most people who have a vehicle. This will enable them to answer important calls while driving. I hope that there are cars online that already have installed bluetooth devices.